Looking for credentialing solutions forDoctorsorDoctor Groups? Facilities need to make sure that all their providers have current and credentials. 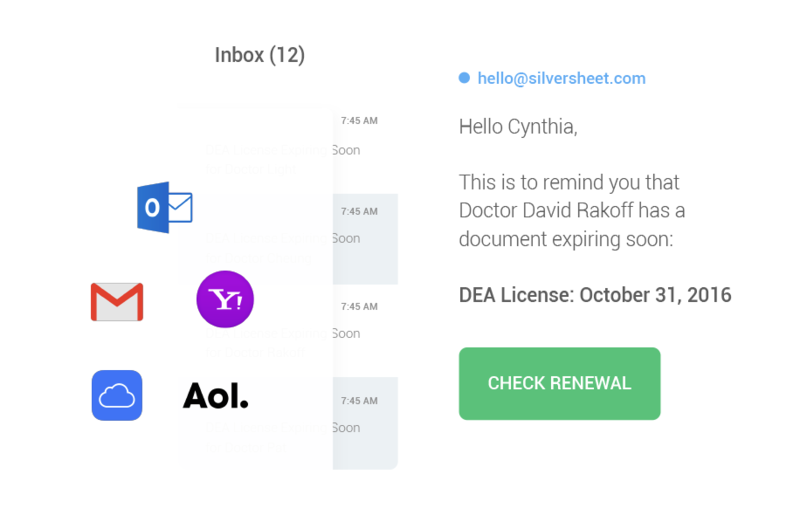 Silversheet keeps track of expiring documents and you know when they need attention. Have instant visibility of your providers with current, expiring, or expired credential documents. Silversheet lets you know where you stand with every provider and drills down what is needed to complete a file. Know which documents are expiring even when you aren’t using the software. We’ll send you reminders straight into your inbox. Choose to receive alerts for documents that are about to expire, expired, and monthly OIG reports.